I'm busy reading Kentaro Toyama's new book Geek Heresy. Readers of this blog (thanks Mum!) will know that I regularly draw upon Kentaro's amplification thesis, which argues that, in itself, technology is not the solution to anything, and that all technology can do is amplify existing human capacity and intent. This analysis leads Kentaro to call for an increased emphasis on identifying and developing human capacity and intent as the primary focus of ICT4D - rather than the current over-emphasis on the development of technology itself. So I was interested to also read Ken Bank's blog in which he suggests that best ICT4D practice should be limited to developing technology and making it freely available - as he did with FrontlineSMS. In his blog Ken argues that even the act of designing alongside end-users is problematic - as it undermines 'local' capacity. He seems to take a fundamentalist position in arguing that best ICT4D practice is restricted to 'local people helping local people' and distant people providing technology. Not-local people, it seems, must just drop the tech and get out of the way. Kentaro and Ken can't both be right. So what is best practice in ICT4D? 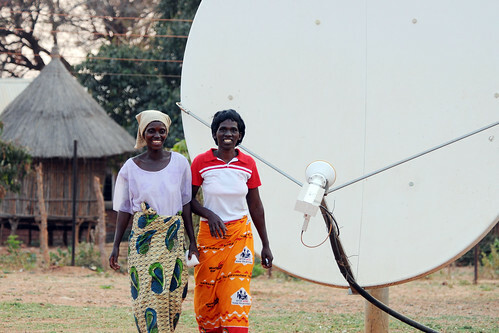 Let's agree that independence and self-reliance are key objectives of ICT4D i.e. the ability for people to solve their own problems. The question then becomes: is this objective best served by using ICT4D practices that focus on technology access alone; or by practices that also include building the skills and capacities necessary to make 'effective use' of that technology? Whenever a new technology is created the skills and capabilities necessary to make optimal use of it are often - in the first instance - available in one location. Enabling effective use is often best facilitated by people meeting and learning from each other. The idea of enabling technology to further development in ways that are 'minimally invasive' is not new. It is the basis of Sugata Mitra's famous 'Hole in the Wall' experiments in ICT4E and, of course, Nicholas Negroponte has advocated dropping laptops from helicopters. Yet, as Kentaro Toyama argues in Geek Heresy, providing technology without also developing the skills and capacity of disadvantaged people will usually have the effect of widening the gap between rich and poor. In unequal societies, provision of technology alone has repeatedly been shown to further advantage the already privileged. This is because they already have the necessary skills, resources and social capital to exploit the technology. For this reason - if the objective of ICT4D provision is human development based on social justice - it is necessary for all ICT4D initiatives to begin with the provision of training and capacity building to currently disadvantaged groups. We all share the objective that people facing disadvantage should themselves be the authors, architects and arbiters of development. However technology is only 10% of the overall solution; building human capacity and intent is 90% of best practice in ICT4D. 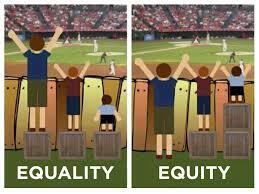 If ICT4D initiatives are to lead to equitable outcomes then they must necessarily design for equity from the outset and that must involve focusing on the capacity and intent of the most disadvantaged (see diagram). Note: in the original version of this post I wrote that I bet Ken had travelled to provide support to FrontLine SMS users. I was wrong. He assures me that he never did. So I have deleted that reference. Permalink Submitted by kiwanja (not verified) on 22 July, 2015 - 17:27. Thanks for taking the time to write this post and share your comments, Tony. Regarding the dropping in of technology, I have dismissed this approach for all of my career - so it's certainly not something I can be accused of doing, or advocating. My model has always been one of pull, not push. Every user of FrontlineSMS in those early days (when I was running it, at least) downloaded it on their own initiative, based on their own understanding and belief of how it might help them in their work (information which, in most cases, they got from other users like them). I never did a world tour trying to accelerate adoption of the tool, and only ever visited one site where it was being used - by Kubatana in Zimbabwe. So your assumption there is incorrect. For me, the adoption of FrontlineSMS so broadly was testament to the power of the 'pull' approach, and the power of users talking to other users, without me getting in the way or standing in between. Empowerment is an over-used word, but that was as close as I thought you could ever get to it. With your thoughts on my fundamentalist view, I have to say that all my experience over the years would always point me towards the local. We've had outsiders burning through huge amounts of money with pointless projects for such a very long time, with considerable failure, that any alternative is worth a try. If the experts have done so badly, let's pivot and disrupt the status quo. We always call for that in the field - so let's have a little ourselves. Finally, as for for the human capacity element, how did that ever develop in the ‘West’ at a time when there was no-one from the outside to plan, model and deliver it for us? Although the global development sector might consider it their job to create, manage and deliver human capacity in developing countries, in my experience it’s the people in those very countries who see it as their job. We just need to figure out how we can support them. Developing a tech tool that gave them some ability to do that, to some degree, was all that I tried to do in my work – in my FrontlineSMS days, and now today. Of course, I'd be interested in Kentaro's thoughts. I think, over the past 12/13 years, we've been writing and speaking about the same sets of problems. Maybe where we differ is in the answers.